. يقدم فندق نوفوتيل كانبيرا خدمات لا غبار عليها وكل أشكال اللياقة وحسن الضيافة اللازمة لإسعاد ضيوفه. يمكن لضيوف الفندق الاستمتاع بالميزات التالية على أرض الفندق: خدمة غرف 24 ساعة, أمن على مدار 24 ساعة, خدمة التنظيف يوميًا, خدمات بريدية, خدمة سيارات الأجرة. في الفندق غرف نوم يتجاوز عددها 286، كلها مجهزة بعناية وجمال وبعضها مزود بـ سجاد, تلفزيون بشاشة مسطحة, اتصال لاسلكي بالإنترنت, سياسة التدخين - غرف لغير المدخنين متاحة, مكيف هواء. سواء كنت من محبي الرياضة أو كنت تتطلع لتفريغ عناء نهار صعب، ستجد خدمات ذات مستوى عالي بانتظارك كمثل جاكوزي, مركز للياقة البدنية, ساونا, مسبح داخلي, سبا. اكتشف مزيجاً ساحراً من الخدمة الاحترافية والخيارات الواسعة من وسائل الراحة والمتعة في فندق نوفوتيل كانبيرا. We needed one night in Canberra on a vacation driving between Melbourne and Sydney. The Novotel was terrific. 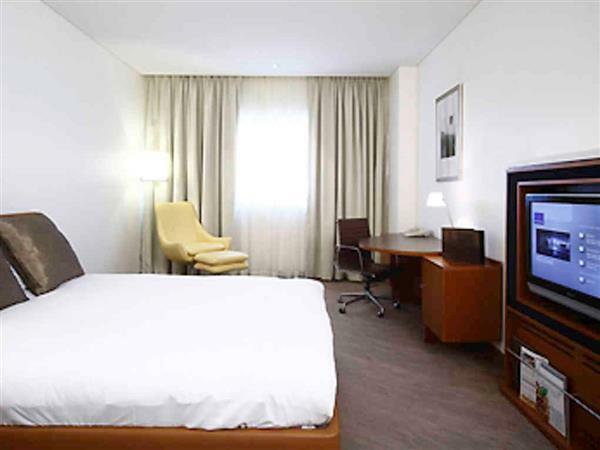 As expected, the room was comfortable, efficient, and as well-appointed as we have experienced with Novotel in the past. The parking was convenient, but be prepared to have the car valet parked in busy times (which I point out only because we needed a moment to get organized after throwing everything into the car when we left our prior location that morning). There were several restaurants within a block or so. This was a quick stop for us, but it was easy and convenient thanks to this hotel. The hotel was lovely. My room was very big and the bed was very comfortable. TV was massive. Good selection of free tea bags and plenty of milk. Downside was having to pay for wifi which wasnt very good quality. I had to hotspot my ipad to watch netflix. The bathroom was nice but there was a slight smell - nothing too bad but wasn't ideal. The staff were very helpful and let me sit in reception when I was waiting for my late 11pm bus - as a solo traveller this was very much appreciated. And they held my bags all day and gave me a free bottle of water while I waited. Very kind. This hotel was lovely and I'd stay again. Stayed for 2 nights with 2 young kids. Room was a little small and facility was not excellent but we've got a good price (250$ per night for 4 of us), so it was satisfactory. Good for families, or business. Not recommend for a romantic trip as it is not really a luxury type of hotel. My stay was comfortable and the staff were polite. My only criticism was that the fridge did not contain any alcohol beverages and there was no drinks shown on the room service menu. I also had to ring reception to find out what time breakfast was served. 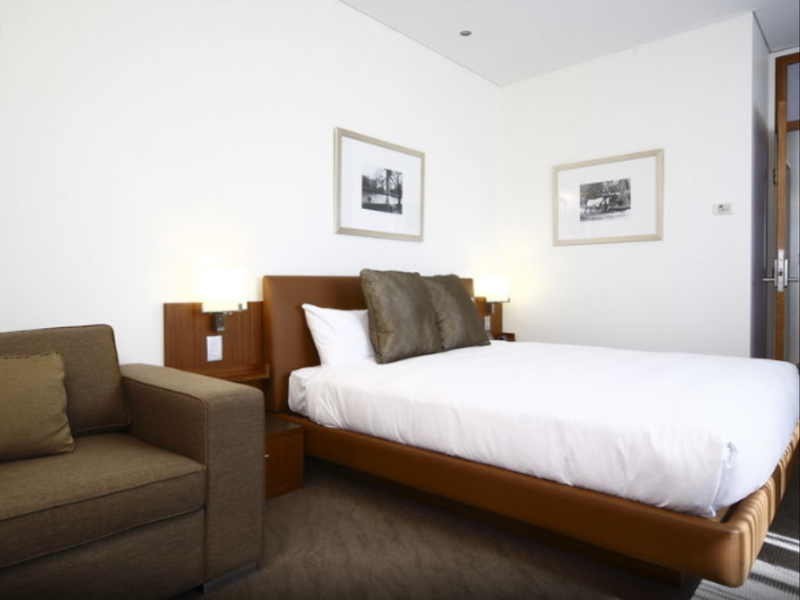 best located hotel in Canberra, adjacent to bus terminal and restaurants. We got it at a value rate. The room was neat and very clean. The only downside was there was no internet inside d room, but will have to go downstairs to the reception area to use it. Internet nowadays is a very important thing and a consideration when booking for a hotel since we need to book tours or flights or anything online, will just make life very easy for the tired travelers. 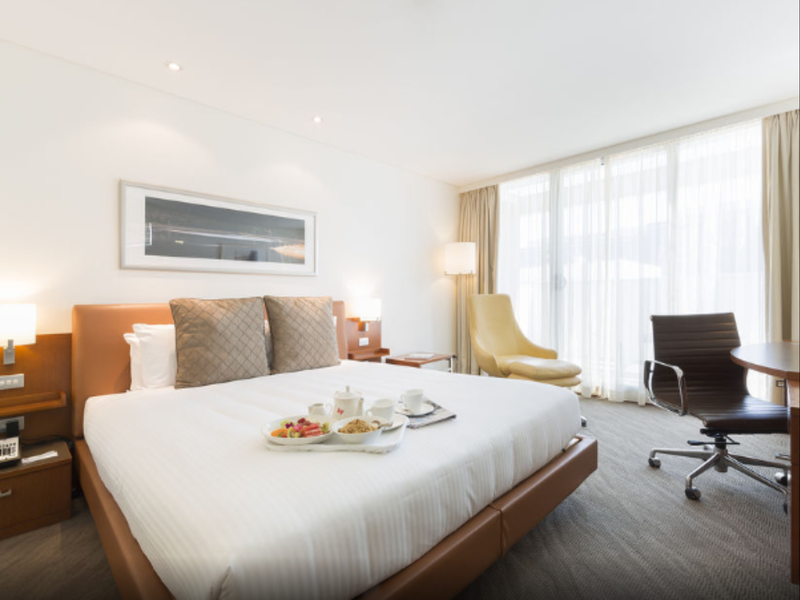 My stay at the Novotel Canberra Hotel was very comfortable. It is an excellent location as far as wanting to get to the city centre restaurants and shops. The staff were very helpful and friendly. I have booked to stay there again. A good and very comfortable hotel to stay. Strategic location in the middle of canberra city. Interstate bus services available just behind the hotel. 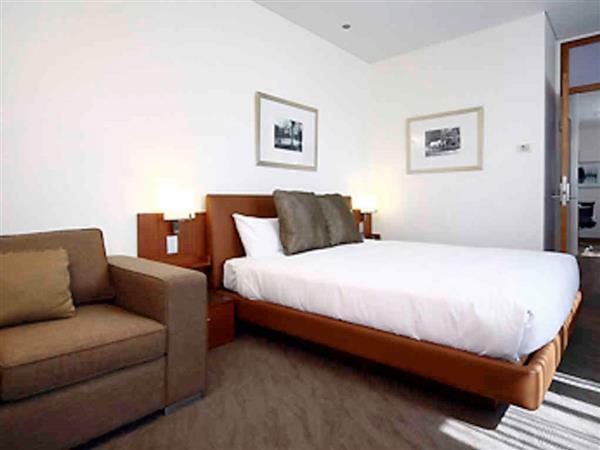 Overall, its a good hotel and value for money compare to other hotel available around canberra. I would definitely stay at the Novotel Canberra again. It is centrally located, friendly, helpful staff who are flexible. These days when most hotels swipe your credit card with everything from $100-$250 deposit, then additionally charge your card with your expenses on check out, and the original hold stays on a debit/credit card for 10-14 days, it was refreshing to stay where they swiped $1.00. One of my bugbears is this 'hold' on your own money - the hotels blame the banks, the banks blame the hotels. someone is using the road warriors money when they don't have access to it. But not the Novotel. They understand the road warrior just wants value, flexibility and reliability. this hotel is close to a huge shopping centre, lots of reasonably priced restaurants and I enjoyed my stay. Definitely worth staying. 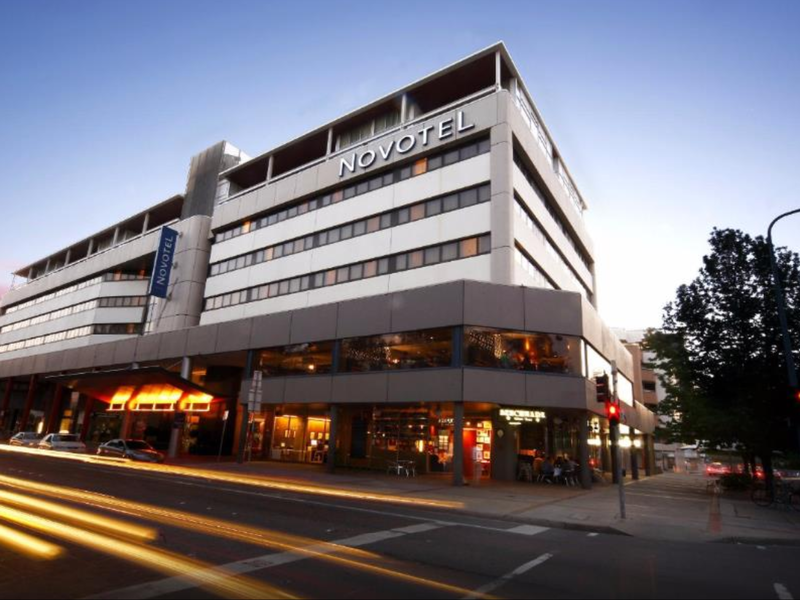 our stay @ the novotel canberra was very pleasant & relaxing the staff were very helpful & always with a smile ! the hotel is central to the city & easy to locate ! easy walking distance to great shopping , restaurants & interesting bars & nightlife . only short drives to tourist attractions such as the national museum , art galleries & zoo ! The hotel is located in good location comes with nice large room and comfortable bed. Also has view of the street depending which side is the room. Comes with excellent service and good buffet breakfast in addition to close to all amenities. Need to bring own toileteries as the hotel will charge you for comb, tooth brush and toothpaste etc. Interent also not free. 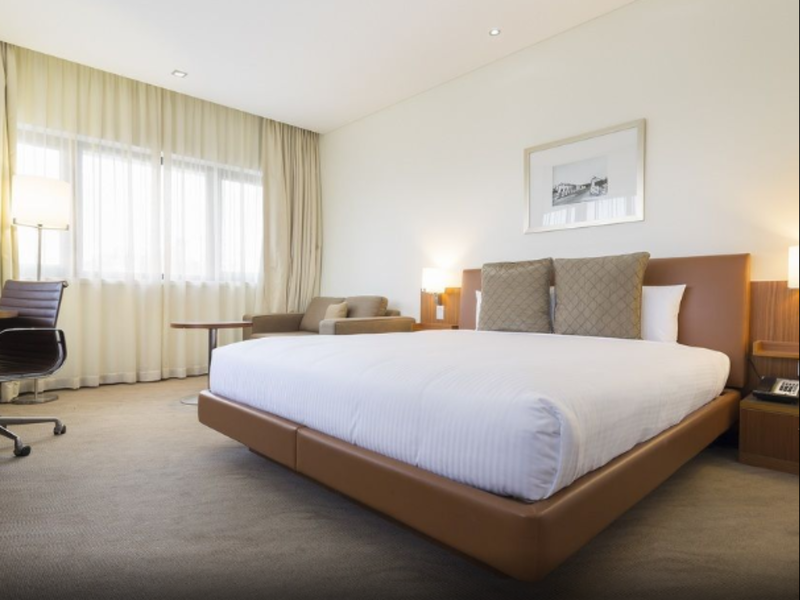 this is a centrally located hotel in canberra suitable for personal or leisure travel. 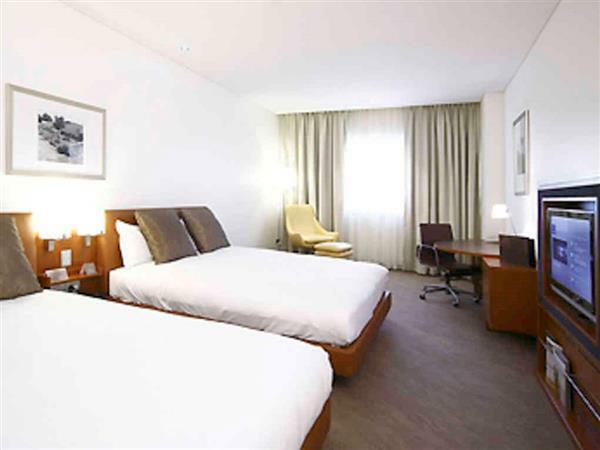 the room was a good size, clean and comfortable, what you would expect from a major chain. staff were professional and courteous, phoning me to let me know when my room was available. Novotel is a hotel chain that I'm quite familiar with so I don't expect much surprises in terms of accommodation and services. Aside from the usual, what I found beyond the norm was the superior concierge service provided by Malcom who was genuinely interested in answering all our queries. The hotel carpet is a bit run down though compared to the other Novotel hotels that we've stayed in the past. The breakfast choices were superb and filling plus the staff service was highly recommended. The location was spot on as we just arrived from Snowy Mountain and the bus station was just at the back of this hotel. I drove down to Canberra for a short weekend stay with someone special and it was one of the most lovely experiences I had , with the hotel having much to do with it. The hotel was easy to spot, right off the main road of the city and parking was a breeze with guards standing constant to direct us. I believe there was a surcharge but it was still worth it. We were greeted with very friendly staff who went beyond their way to settle any questions we had since this was our first time there, warm and sincere , it made us feel welcome straightaway. The room was very spacious and clean . No complaints. Stayed in Canberra Hotel when visiting my customer. It was a good business hotel with very good location to the bus terminal that has shuttle buses to Sydney International Airport. So convenient, just checked out of hotel and walk next door to bus terminal. Surprisingly, it was a quiet stay for me eventhough the hotel is near the road and bus terminal. The Gym was good and well maintained with indoor pool and spa. The hotel location is near the city center, walking distance to shopping. Possible to walk to Parliament House and War Memorial which is the top 2 tourist destinations in Canberra. Breakfast was good and has wide spread of hot food. Good service. Free apples at reception for those wanting to snack a fruit. MACs PC available at reception for free internet access and good concierge service. We booked the hotel due to the location and the renovated swimming pool. And it did not disappoint. Our lil one did not want to leave the pool and the main shopping centre is a block or 2 away. The staff were friendly and nice...but they are not trained to deal with emergency situations. The fire alarm went off just before midnight. No announcement whatsoever. So we hurriedly took flights of stairs carrying my sleeping son. As soon as we got to the bottom floor no staff to guide us where to go, ie assembly point. You guys need to assign fire wardens to assist and guide people. We just followed the people to the front of the hotel where people were blocking the entrance door. Safety hazard. 15-20 mins into it still no staff to update/de-brief. We just relied on Chinese whispers. We still don't know what happened. And least the hotel could have done is send a letter of apology to each room. Due to these safety concerns, we will not be staying at this hotel again. Like- Excellent location, friendly staffs, very good housekeeping, nice shower, valet parking(actually the car park is pretty small and always full), late check out(11am), nice heated pool for winter plus spa and sauna. Dislike- As rated 4 and half stars accommodation, the pillows are so uncomfortable(too soft), no free WiFi in the rooms, the carpet on corridor is dirty, the restaurant couldn’t accommodate many guests at once, specially long waiting for pancake machine(long queue, slow machine, need to refill frequently).